Looking for relaxing holiday or short break in a low-cost UK cottage complete with its own lovely bubbly hot tub? Try ones of these for as little as £192. This fantastic converted stable is situated in North Norfolk on the outskirts of the historic market town of Reepham. It’s been lovingly turned into a beautiful holiday cottage that’s perfect for a quiet romantic break; with exposed beams, a warming wood burner and authentic stable doors. Inside, the holiday cottage has an open plan sitting room and bedroom. Outside is a secluded garden complete with a luxurious private hot tub. You’re a short work from the town’s market square and rustic pubs, whilst the areas is fantastic for bird watching and walking. Just a few miles north is the beautiful North Norfolk coast and the classic seaside town of Cromer. 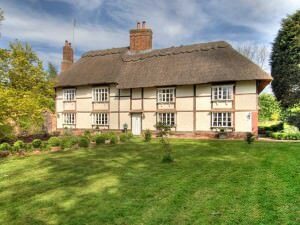 Book your cheap break now in this beautiful holiday cottage with a hot tub from just £192. This charming studio holiday home is tucked away behind a high stone wall in the market town of Malton. It’s the ideal romantic hideaway from which couples can explore the beautiful North York Moors National Park and the east coast towns of Scarborough, Whitby and Filey. Inside it is compact and cosy, with a pull down king-size bed fitted neatly into a feature wall. The charming kitchen includes hand built cupboards and a fold down table. Two luxurious leather chairs allow you and your partner to relax and soak up the holiday vibe. Patio doors open onto a private secluded courtyard garden, with sunny and sheltered areas in which to unwind with a glass of wine. And of course, there is your own private luxury hot tub to enjoy with your romantic partner. 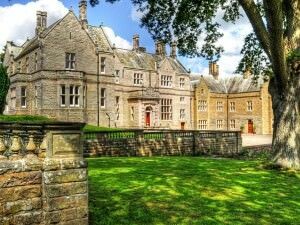 The surrounding area is full of attractions, including stately homes, Flamingo Land and the North York Moors Steam Railway. Catch the train in Malton and spend a wonderful day in York with its famous Minster, Jorvik Viking Centre and medieval city walls. An ideal low cost cottage retreat for couples, from just £203. Situated just north of the Lake District, this cottage can be yours for as little as £207. 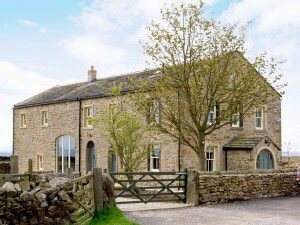 A lovely traditional stone-built mid-terrace holiday cottage, its located on a working farm in a little hamlet two miles from Brampton. With original beams and exposed stonework, its been lovingly restored to create the ideal place for a romantic couples break. Its cosy living room includes a further summer room from which you can admire the pretty views. The small modern kitchen is perfect for preparing a romantic meal for two before snuggling up in the main bedroom. An ideal romantic retreat, it has a decked balcony and – of course – use of a lovely bubbly hot tub to soak in together after a great day exploring the Lakes, North Pennines or nearby Hadrian’s Wall. The golden beaches and picturesque villages of Cornwall and Devon remain a hot spot for hot tub holidays this year. But now holiday property owners throughout the picturesque Peak District, Lake District, Yorkshire Dales and Yorkshire Moors are also realising that more and more guests like to admire the view from a lovely bubbly hot tub. All these areas now offer a wider choice of hot tub cottages than ever before. However, its Wales that still delivers the largest and widest choice of cottages with hot tubs – whether your walking in Snowdonia, exploring Pembrokeshire or shopping in Cardiff! The increasing popularity of holidays cottages with hot tubs is spreading across the UK. The latest areas to see a rise in hot tub cottages are the South Coast and Scotland. Dorset, the Isle of Wight, Hampshire, Sussex and Kent now boast a stunning range of hot tub equipped holiday homes. North the border you’ll now find a wide choice of cottages, lodges and log cabins – all with hot tubs – from which to enjoy the Highlands, Western Isles, Cairngorms and Edinburgh. The popularity of lodges and log cabins with hot tubs continues to boom with new properties appearing across the UK. But beware, not all lodges and cabins are the same. Many family holiday parks are ditching their traditional static caravans for lodges. Whilst many are wooden, others are merely cladded caravans. Whilst you may get a taste of the hot tub log cabin experience, you’ll unfortunately be sharing it with tens of other families on site. Book an individual lodge or log cabin with a private hot tub instead. Situated on farms, in woodland and overlooking beautiful coastline, you’ll be glad you have a little slice of rustic paradise all to yourself. So, how do you grab a last minute cottage with a hot tub? The more flexible you can be, the more likely you are to find a last minute hot tub cottage, lodge or holiday home available when you want to get away. Not all holiday cottage breaks start on the same day of the week. Though the most frequent changeover days are Friday and Saturday, many are available from other days, especially if they’ve had weekend guests. Search around your preferred dates to see what is available last minute. Whilst there are always more last minute deals to choose from in autumn and winter, it can be difficult to find last minute availability in the warmer months. If you want to go to popular locations like North Wales, Newquay or the Lake District, it’s always best to book early to avoid disappointment. However, if you want a last minute escape, consider looking a little off the beaten track. Searching a little further up the coast or a few miles outside a national park, can throw up some great last minute properties. Most of us will choose the cottage, lodge or log cabin that most resembles the ideal image in our minds. A beautiful picture of a chocolate box cottage or cosy cabin can often be even more alluring than the location or facilities. If you’re looking for a last minute deal during a busy time of year, consider some of the more unusual or less obvious properties. Some cottages can look a little ordinary from the outside but offer fantastic interiors and that all important hot tub. A slightly quirky holiday home may not always leap off the website at you but it can often be an even better and more memorable experience. Firstly, UK holiday makers now book their breaks much closer to the time they want to get away. That means you can often sneak in and book your ideal cottage with a hot tub first! Secondly, you can find over 750 cottages, lodges and cabins, all with hot tubs (as well as a massive 8,250 other UK holiday homes) all on cottageswithhottubs.co.uk. You’ll find deals, discounts and special offers too. If you like to be around like minded holiday-makers and prefer some on-site facilities, why not try a cottage, lodge or log cabin with a hot tub on one of our family friendly ‘cottage complexes’ in the South West. Situated in the beautiful Tamar valley in Cornwall, Honicombe Manor has cottages, bungalows and log cabins – with hot tubs – that are ideal for exploring the everything the south coast of Cornwall has to offer. As well as the onsite bar & restaurant, you’ll find heated indoor & outdoor pools, a full gym, tennis courts, bike hire and a giant chess board! 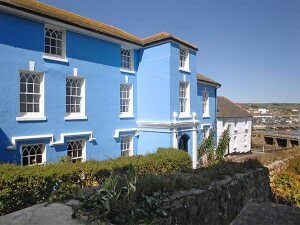 On a wooded hillside overlooking the sea, Bideford Bay is a great base for exploring north Devon. Made up of well appointed chalets and lodges, the onsite facilities include indoor & outdoor swimming pools (with slide! ), crazy golf , a mini assault course, live entertainment, children’s, the Manor House Bar & Restaurant and the Tasty Times takeaway. 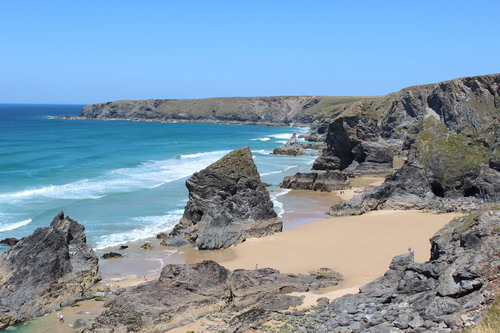 Just outside of Newquay in Cornwall, Atlantic Reach self-catering holiday village makes an ideal location for exploring the golden beaches, seaside villages and other attractions of Cornwall’s north coast. Onsite you’ll find a cafe, bar & restaurant, indoor & outdoor polls with an inflatable Pirate Ship, tennis courts, golf, a large adventure playground with mini zip wire, the Indigo Spa and Pirate Pete’s Kid’s Club. Accommodation consists of modern holiday cottages and apartments, many with hot tubs. Set in 50 acres of woodland in the Norfolk Broad’s, Bewilderwood is an enormous adventure playground which offers something more wholesome than your average theme park. Populated with magical characters from the designer Tom Blofeld’s own books – children can climb into the canopy, swing from branches, explore tree houses, cross rope bridges and whizz down zip lines. Suitable for active kids from toddlers to early teens – it’s a great escape for parents too. The Eden Project lets you experience a tropical rainforest, right here in the UK. Situated near the south coast of Cornwall, it’s within an hour’s drive of almost any holiday destination in Cornwall or Devon. Within the hot and humid ‘biomes’ you’ll find all sorts of weird and wonderful tropical plants, including many we consume every day – like bananas, coffee and grapes. Kids will learn about the relationships between plants and people, and the issues facing our food and sustainability. At 660m long, the Skywire zip line, above the biospheres, is the longest in England. Situated in the centre of Snowdonia national park, this former slate-mining town has reinvented itself as a hub for some surprising activities. Whilst exploring The Llechwedd Slate Caverns, and learning about the lives of Victorian slate miners, might not be top of every child’s wish list – Bounce Below and Zip World will! Bounce Below is a huge network of giant trampolines within the expansive caverns, allowing kids (and parents) to bounce around beneath the rocks. Zip World Fforest (also at Bethesda and Betws Y Coed) has the longest zip line is Europe – and the fastest in the world! Few children have been untouched by Harry Potter. 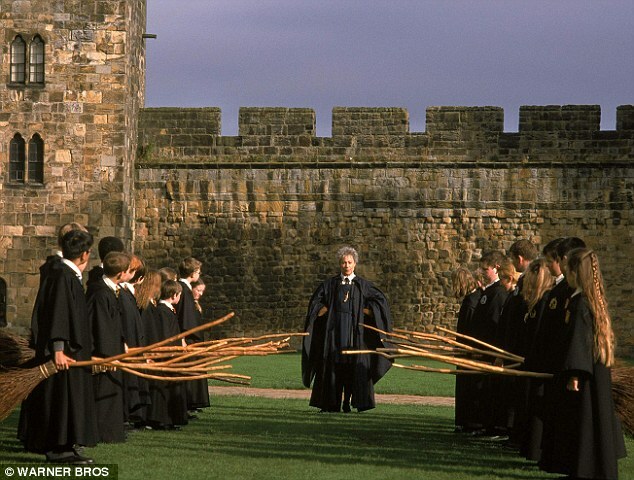 As the setting for a number of scenes in the movies – including the Quidditch matches – Alnwick Castle in Northumberland lets kids relive the magic. First mentioned in 1136, the castle is also home to some fascinating exhibits, including military and archaeological history. It was also the location for the 2014 Downtown Abbey Christmas special! Kielder Water in Northumberland is the largest man made lake in northern Europe. Surrounded by 250 square miles of fantastic woodland, its one giant adventure playground for sailing, water skiing, mountain biking, horse riding and hiking. It’s also home to one of England’s largest populations of red squirrels, a bird of prey centre, an outdoor art & sculpture trail and the star-gazing Kielder Observatory. 1. This prize draw opens each week on Tuesday at 10.00am when the competition Facebook post goes live. Entries close 1 week (7 days) later at 21.00pm each Monday. No entries shall be accepted after this time. 2. The prize draw will run for 21 consecutive days from 1st December until 21st December. 3. To enter the Prize Draw you must first ‘Follow’ the Cottageswithhottubs.co.uk Facebook page. Then click the “like” button and comment with the posts message on the prize draw post from the Cottagewithhottubs.co.uk Facebook Page. 4. Entry via Facebook only – all entrants must have access to the internet and a Facebook account. Participants are limited to 1 entry, per week. 5. Winners will be selected at random and notified within 24 hours of being selected by a private message to their Facebook account from a member of the social media team. 6. Prizes details will be confirmed each week. 7. Prizes will be sent to UK addresses only. If a winner does not have a UK address, this will result in the prize being fortified. 8. The Promoter reserves the right to verify all entries and to refuse to award a prize where there are reasonable grounds to believe there has been a breach of these T&Cs, Facebook Rules or where an entrant has gained unfair advantage in participating in the prize draw or won using fraudulent means. 9. All prizes are non-transferable and non-refundable and subject to availability. There is no cash alternative. 10. Prizes will be dispatched within 28 days of receiving the winner’s address. 11. The Promoter shall have no liability for: (a) technical problems of any kind which may limit or prevent any person’s participation in the prize draw; (b) any loss or damage arising from or in connection with the allocation of the prize, or (c) any other events beyond the Promoter’s control that may cause the prize draw to be disrupted or corrupted or may lead to loss or damage of prizes in transit to the winner. 12. The Promoter is Cottageswithhottubs.co.uk, Norwich, Norfolk, NR8 5EP. The promoter reserves the right to provide an alternative prize of similar value should any of the prizes become unavailable for any reason. 13. Employees of Cottageswithhottubs.co.uk and its group of companies, their friends and families are not permitted to enter. 14. A post announcing the successful winner will then be posted on the day following the end of the previous week’s competition on the Promoter’s Facebook page. 15. By entering the prize draw, the prize winner grants the Promoter permission to use their name and likeness for advertising and future promotional purposes without additional compensation (except where prohibited). 16. The prize draw is governed by English law and the English courts shall have exclusive jurisdiction over any dispute arising in connection with it. 17. This prize draw is being run within the guidelines set out by Facebook regarding Competitions on their network and is in no way sponsored, endorsed or administered by, or associated with Facebook. By entering the prize draw, you the entrant hereby release Facebook from any and all claims, damages or liabilities arising from or relating to your participation in the prize draw. Furthermore, any questions, comments or complaints regarding the prize draw will be directed to the Promoter, not Facebook. 18. This Prize Draw is no way sponsored or endorsed by any of the brands associated with the prizes. 20. Entry to the Prize Draw confirms that participants have read, understood and agree to be bound by these terms and conditions. If you would like to take a look at what Cottageswithhottubs.co.uk has to offer, please click here. 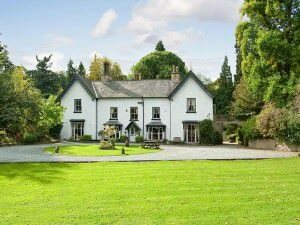 Here are some of the best destinations for walking holidays – made even more special by returning after a long walk to a luxury cottage with a soothing hot tub. Where do you start in a whole country made for walking! Most people instinctively head for the Highlands or Western Isles. However, these aren’t your only choices. The Cairngorms are just as beautiful as the highlands with peaks often as high. However, the landscape is subtlety different with smooth backed mountains and Caledonian pine forests. They’re popular with walkers keen to spot Golden Eagles, Red Squirrels and even Scottish Wildcats. Southern Scotland is often disregarded as somewhere people simply drive through to reach Edinburgh or Glasgow. Whilst not as famous as the Highlands, Yorkshire Dales or Peak District, the lower counties of Scotland can be every bit as beautiful as anywhere in the UK. Head to Dumfries & Galloway and walk along the stunning – but deserted – coastline. The North Yorkshire Moors & Coast are a perfect setting for a week’s walking. 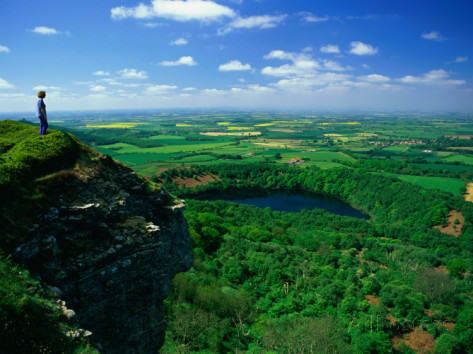 It was author and vet James Herriot who described the view from the Sutton Bank escarpment as ‘England’s finest’. Almost 1,000 feet high, the enormous rock cliff stretches along the western edge of the National Park, providing amazing views over the rolling Yorkshire countryside. The North York Moors are of course blessed with a fantastic coastline. As well as historic Victorian seaside towns like Scarborough and Whitby, there are miles of sandy beach and cliff top walks. The best place to start is Ravenscar to Robin Hood’s Bay – strolling along the Cinder Track coastal trail, stopping occasionally to admire the view or sample a local tea room. Cornwall has always been a haven for walkers and cyclists with over 2,400 miles of paths taking in cliff tops, windswept moors, quant villages, stately homes and the county’s fascinating history. Whatever your ability or inclination, you’re bound to find a perfect walk from a gentle stroll to a full day’s hiking. A great place to start is the Cornish Way which stretches 200 miles from Bude to Land’s End and takes in some of the 27% of the county designated as Areas of Outstanding Natural Beauty. Alternately, the 300 mile South West Coast Path takes you all the way around the counties coast, past awesome cliffs, secluded coves and golden beaches. Whether you’re planning your next hot tub cottage holiday with your kids – or looking for a break when other people’s children are still in school – our handy guide should help! The following are the most common school holiday dates for England, Wales and Scotland. The number of cottages with hot tubs is growing fast! New properties are added every week. However, only 10-20% of UK holiday cottages currently have hot tubs and people go back time and time again. Make sure you start planning now and book in advance to beat the rush! Lots of holiday parks offer lodges and cabins with hot tubs. But you’ll be sharing the park, the view and even the hot tub with other guests! If you value time alone, make sure you book a holiday home with its own secluded hot tub. Hot tubs are great for couples, friends and families alike. But you’ll end up like a prune if you stay in the bubbles all day long! The UK is blessed with some of the most beautiful scenery and holiday cottages. Make sure you choice a special location and a cosy cottage that has everything else you need to make your holiday perfect! If you want a cottage with a hot tub, then search www.cottageswithhottubs.co.uk. It’s all we do!